Can Keeping My Car in Good Condition Lower My Auto Insurance? 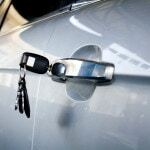 Home » Auto Insurance » Can Keeping My Car in Good Condition Lower My Auto Insurance? If you’re wondering if keeping your car in good condition can lower your auto insurance rates, the answer is, indirectly, yes. To clarify what we mean by “indirectly”, we should point out that keeping your car in top condition for the various road conditions is always a good idea. While auto insurance companies don’t look directly at how well you maintain your vehicle, they do “indirectly” expect you to keep it safe to avoid accidents, by having the oil changed regularly, staying on top of service problems involving brakes, steering or checking for worn and under inflated tires. It goes without saying that, by avoiding accidents you can keep your auto insurance premiums lower. For this reason, insurance companies tend to assume that you’re taking care of your expensive investment properly so they won’t have to pay out for a traffic mishap that could have been avoided, if you’d only taken care of the problem. Because good maintenance translates into fewer accidents – it can have an “indirect” effect on your insurance rates. For example, your tires play an important part in your safety on the road. If you neglect to check the pressure or the tread, you could be at risk of serious consequences, least of which is a flat tire in a parking lot. Should you suffer a blowout at high speed, you could cause an accident. Your insurance company may investigate and hold you at fault for all damages and injuries, which will, in turn, result in higher premiums, simply because the tread on your tires was shot. What If your brakes are in bad shape and need to be replaced, but you are involved in an accident that sends the other driver to the hospital – you’re responsible. And, if your insurance company checks your brakes and discovers they’re worn down to the rotors, that’s considered deliberate neglect. Not only will it cause your premiums to go up, but your insurance company could refuse to pay your claim, based on the fact that you knew your brakes weren’t working properly, but you chose to drive your car anyway. And, if that’s not enough – imagine items are stolen from your car or the entire car is stolen because the windows or doors don’t lock properly. In such a case, the theft might have been prevented, according to the insurance company, had the car been secured with working windows and door locks. Depending on the insurer, the policyholder could be blamed for the incident and it could affect how the claim is handled, leading to higher rates. 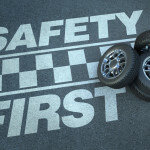 Therefore, the logical rule of thumb is to maintain your car’s vital parts, including the tires, brakes, and steering components in an effort to avoid costly and potentially dangerous breakdowns. In addition, you’ll have the peace of mind of knowing that your car is safe to drive by being in good working order – and, not just be an accident waiting to happen – which can help keep your insurance premiums from being “indirectly” affected. You may want to make sure your premiums aren’t affecting your wallet by checking that you’re getting the best rate on your auto insurance. 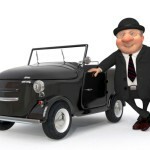 Why not get a free auto insurance quote today? Have you had an accident that can be blamed on maintenance neglect? Feel free to share your thoughts in the comments section below. If you’re wondering if keeping your car in good condition can lower your auto insurance rates – the answer is – indirectly. Can keep My Car in Good Condition Lower My Auto Insurance?